Mr. George Arthur Moller Sr., age 80, passed away Saturday, April 14, 2018. He was born in Muskegon, Michigan on December 23, 1937 to Glen & Margaret (Bloonshine) Moller and served his country in the US Navy during the Korean War. He married the former Patricia Bird on June 6, 1959. Mr. Moller had been employed in the Maintenance Department for Sealed Power for 37 years until retiring in 1996 after which he became a handyman with his own business called Fix-It-Express. 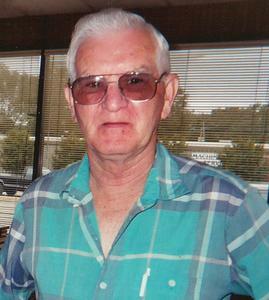 George was a member of Temple United Methodist Church for over 50 years and was a Pack Leader for the Boy Scouts. He enjoyed wood crafts, going to thrift stores and flea markets, going out to heat and Solitaire on his computer. The family would like to say thank you to Tracy Parrish for the wonderful care she provided for George. Son, George Moller Jr.; daughters, Lori (David Walters) Lathrop, Kathy (Mohd) Almahmoud; 19 grandchildren; 16 great grandchildren; sister, Naomi Moller; many nieces and nephews. He was preceded in death by his parents; wife, Patricia in 1994; sisters, Marlene Moller and Helen Shue. Thursday, April 26, 2018, 1:00 pm with visitation one hour prior to the service at Temple United Methodist Church with Jeffrey Bowman officiating and Military Honors under the Auspices of the Muskegon County Council of Veterans. MEMORIAL: Johnson Family Cancer Support Group or Temple United Methodist Church Memorial Fund.